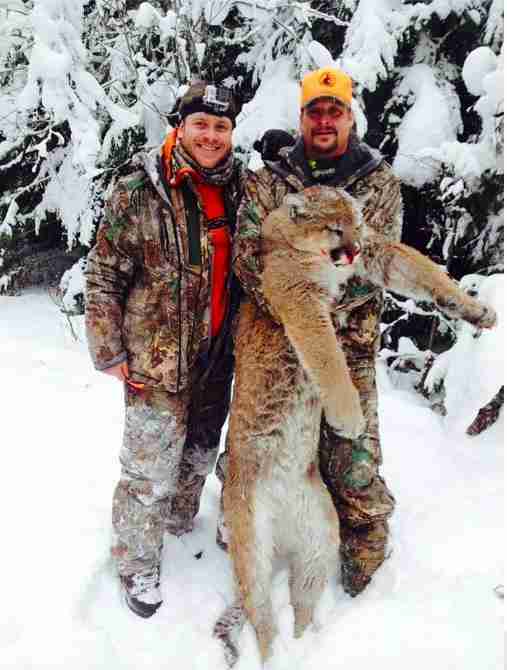 Kid Rock probably should have thought twice before posing with a bloodied dead cougar just before the release of his new album. Controversial rocker Ted Nugent posted a Facebook photo on Jan. 3, showing fellow musician Kid Rock holding up the dead body of a cougar they killed on a hunting trip, and now the photo is making the rounds. Nugent proclaims in the photo's caption, "Praise the mighty life giving renewable protein/sport/trophy/FUN!" Anticipating criticism from "braindead squawkers" regarding the brutal display of violence, he argued, "Its legal its necessary its good its beneficial its a damn riot!" He praised "My MotorCity boy KidRock for saving all those muledeer elk & livestock by whacking this magnificent mountain lion." The photo, and the caption, attracted more than a few angry comments condemning the photograph. "How can anyone look so proud after killing something so beautiful?!!" wrote one Facebook user. While it is legal to hunt cougars in many states, these big cats face constant threats from humans to their quality of life in the wild. In California, highways have made it harder for communities of cougars to reach each other, which has created pockets of dangerous in-breeding. 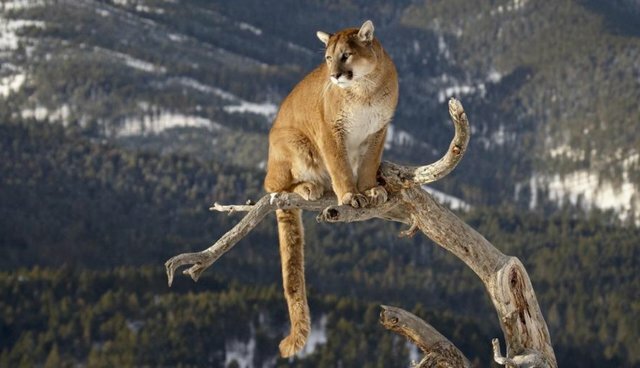 And only last week, Nebraska announced that the state will not allow mountain lion hunting in 2015 out of concerns that too many females of breeding age were killed last year. Kid Rock hasn't made any statement yet about the picture or the hunting trip, but with a new album about to come out, this photograph may cost him some fans.